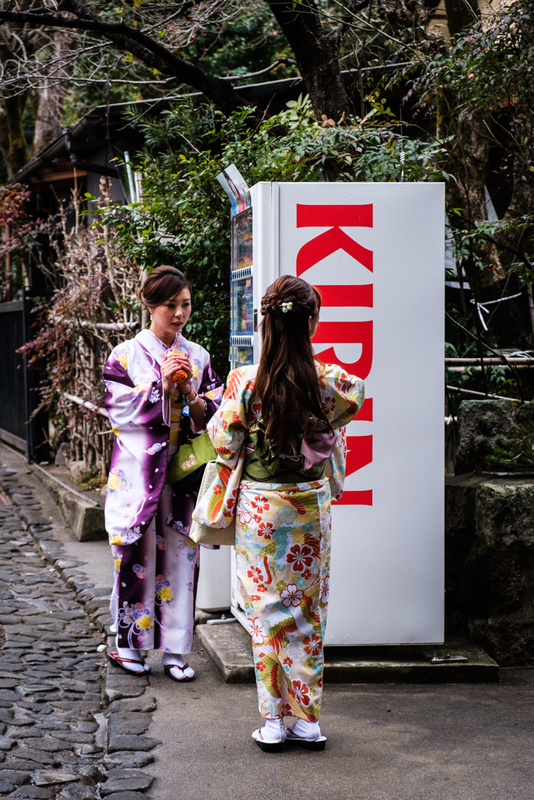 The Fushimi Inari shrine is an impressive place literally covered with massive orange shrines (and covered with tourists as well). When we went there, we half deliberately took a wrong turn and ended up walking a narrow dirt path into the woods for a couple of hours. 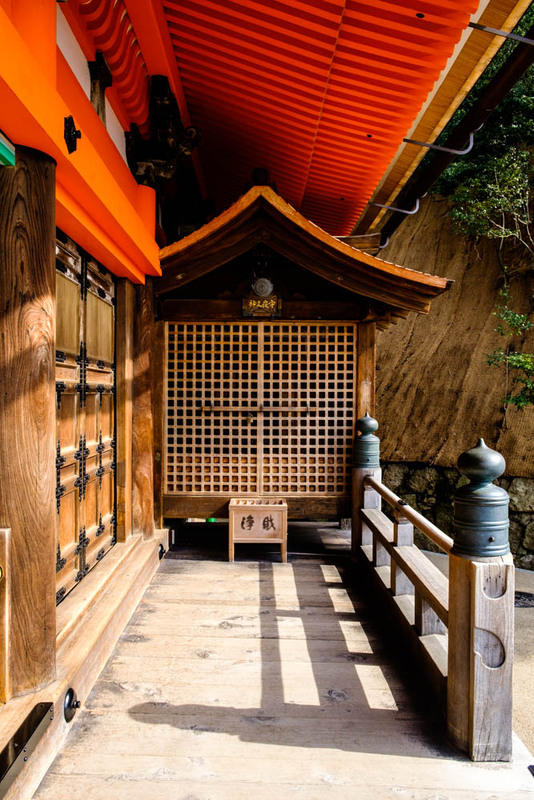 In several places along the path were fantastic shrines to the fox protectors or Fushimi Inari. 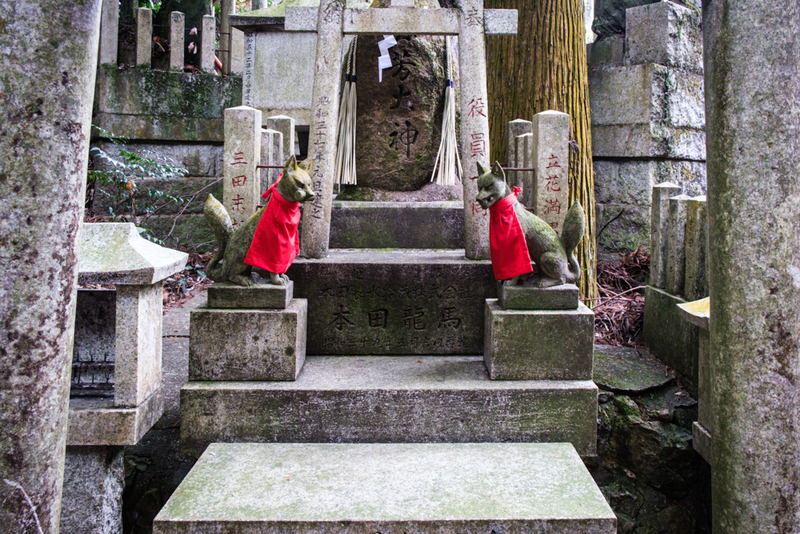 A multitude of small Torii with these male and female fox statues wearing red aprons. This is my best approximation of what these felt like. 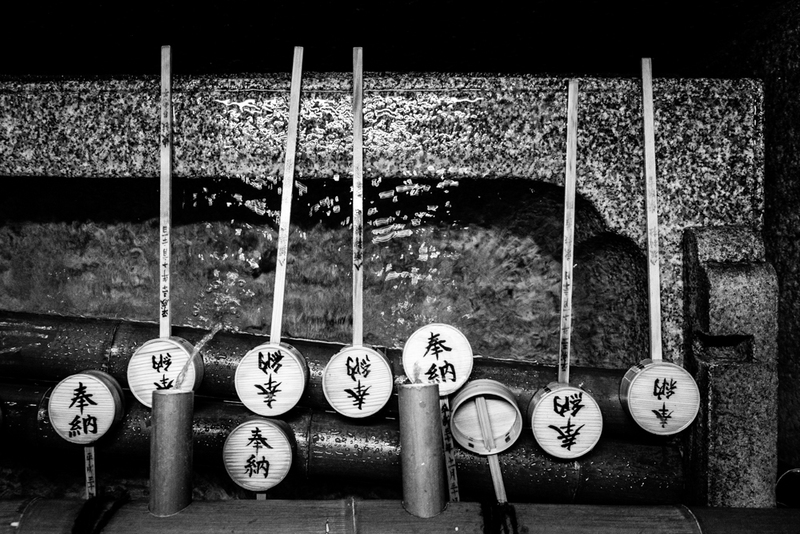 In the Shintoist shrines in Kyoto (and, I’m assuming, elsewhere in Japan) there often are these beautiful little basins with wooden ladles in front of them that worshippers use to clean their hands. 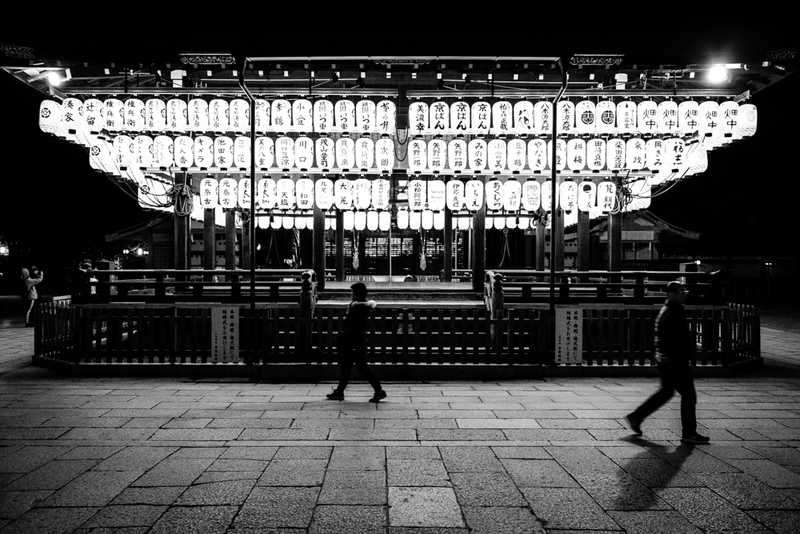 When I walked into this temple near Gion after nightfall I was struck by the contrast between the clear wood of the ladles and the dark surroundings. I shot from above, not really seeing what I was framing. It turned out to be more interesting than I thought, in a quasi abstract way. 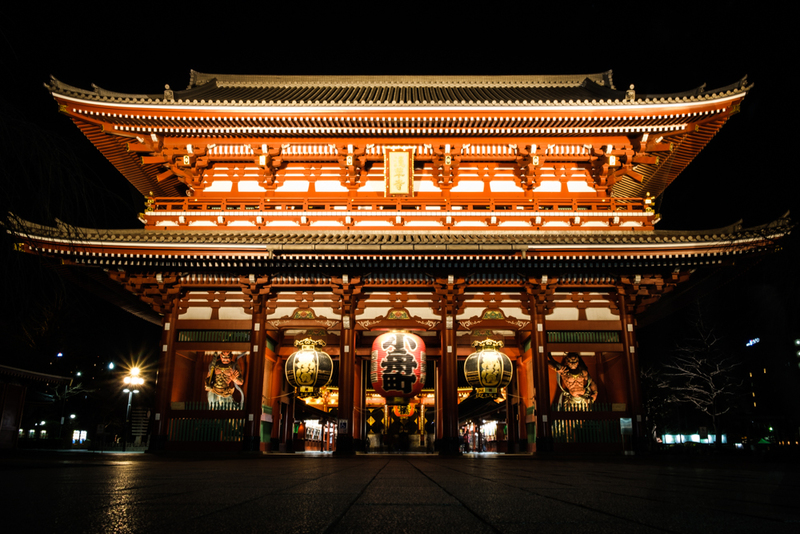 Wandering around Gion at night, I stumbled upon this large temple complex (I think it’s the Yasaka Shrine.) 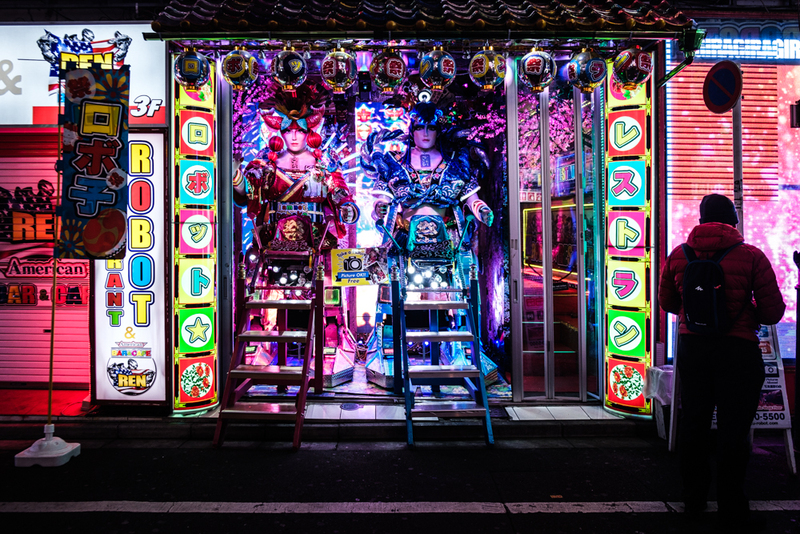 In particular, the numerous paper lantern on this dance stage illuminated the area in a really cool way. I waited for some passers by and got this shot out of it, which I find really moody. 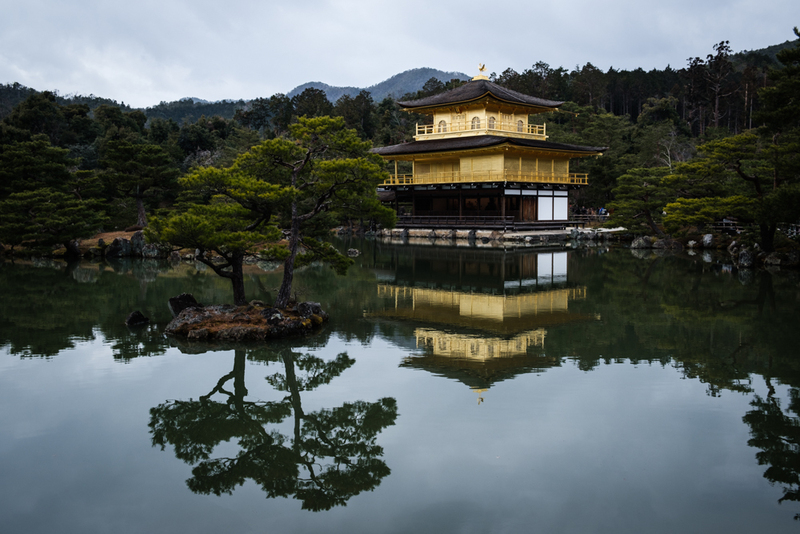 The weather wasn’t exactly the best when I visited the Kinkaku-jin, also known as the Golden Temple in Kyoto. But maybe that overcast subdued light contributes to a certain atmosphere that a blazing temple in the bright light might not have conveyed. It was overcrowded when we got there, but I immediately spotted the pinetree on its little island as a possible call and response to the temple itself, hence the title and the composition. 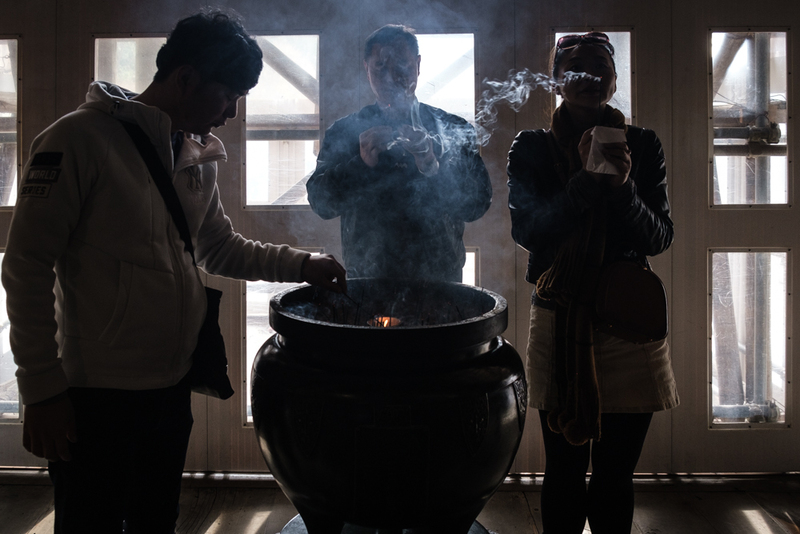 The pervasive smell of burnt incense is part of the amazing sensory experience of Buddhist temples. 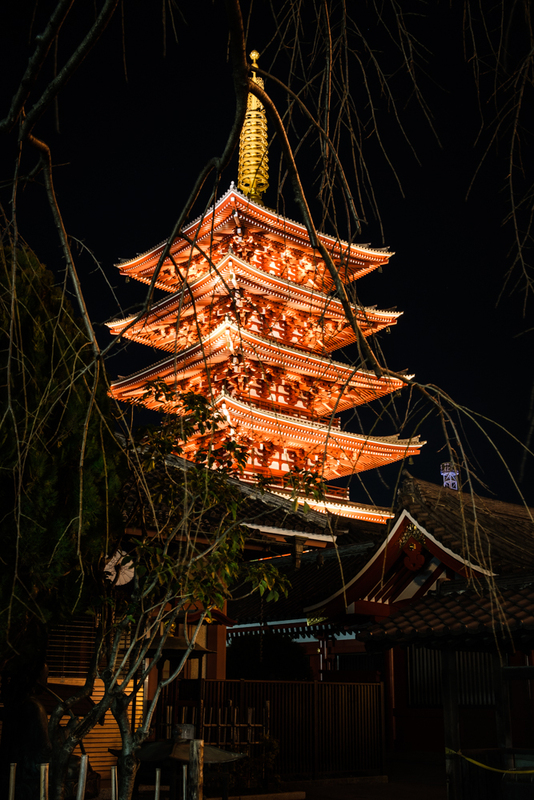 This was shot on instinct as I was near blinded by the light coming through the scaffolding at Kyomizu-dera.